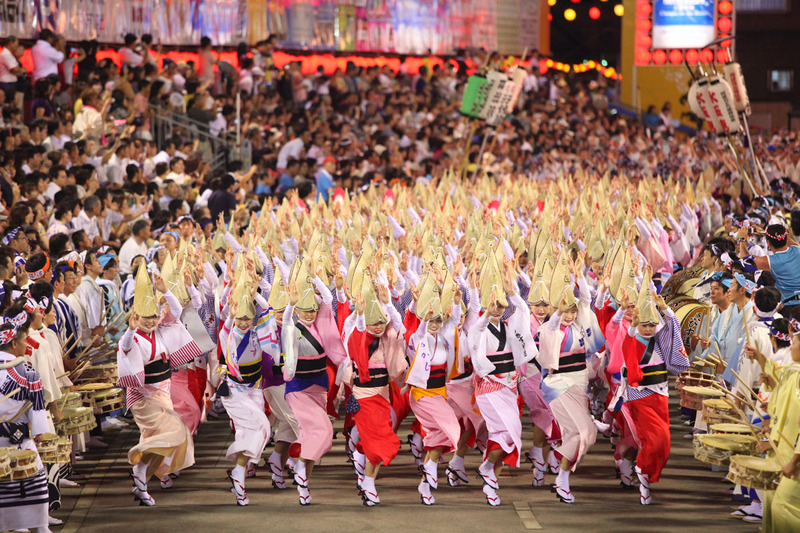 In the Tokushima prefecture, the birthplace of the Awa Odori Dance Festival, the Festival will be held everywhere in the prefecture every August. 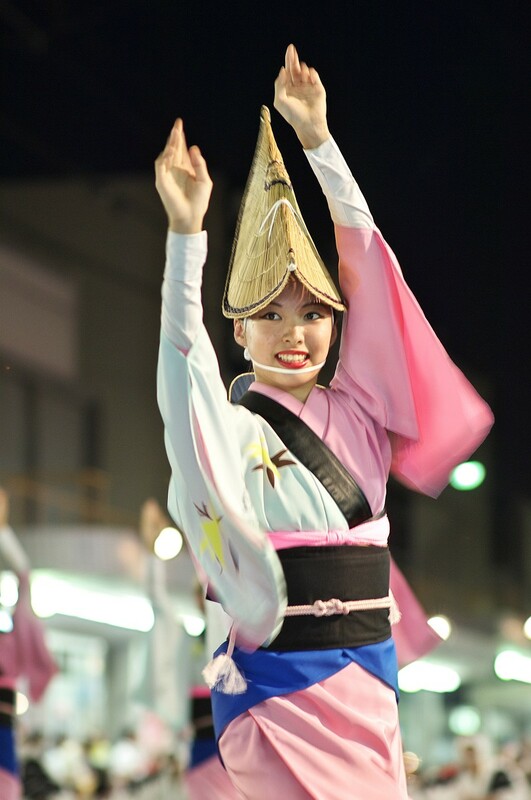 Among them, the “Awa Odori Dance Festival of Tokushima City” boasts prominent size and popularity. Around 1.4 million tourists gather from all over the country in Tokushima City with a population of about 260,000 people. In recent years, “Awa Odori Dance Festival” has been held throughout the country, but the high quality of Awa Odori Dance Festival in Tokushima does not allow other followers. 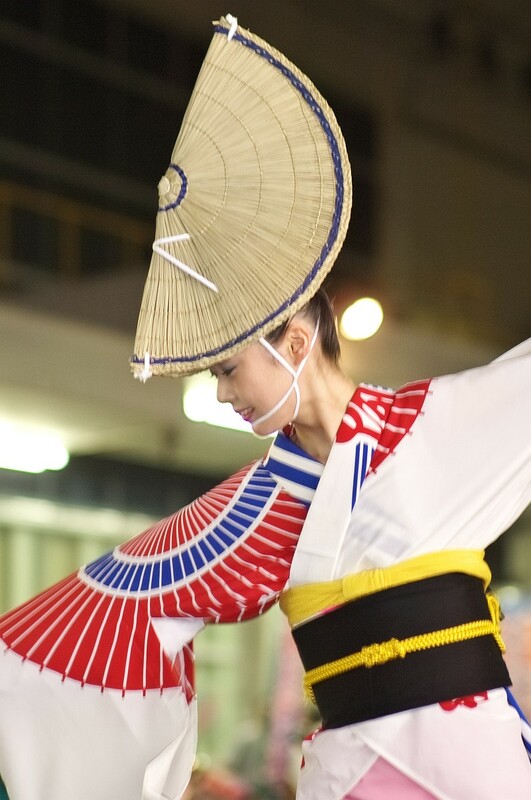 The “Awa Odori Dance Festival” in Tokushima city is held every year on the eve of the evening on August 11 and the 4-day schedule from the 12th to the 15th August. The essence of “Awa Odori Dance Festival” is Hayashikotoba (a meaningless refrain used to maintain the rhythm of a song) of “Dancing fool, watching fool: all fools, so let’s all dance!” It is a famous word that everyone knows if they are Japanese. Individual “a man dance” and glossy “a woman dance”. Brilliantly contrasting a dance performed in a group will involve the audience into the whirlpool of euphoria. If you like the festival, you want to be “Dancing fool” than just seeing it. People who are looking forward to this festival and those who are planning to participate will surely be excited. The old name of the city of Tokushima called Awa, as the name suggests, Awa-Odori was born in Tokushima prefecture. But it is not obvious when it was born, and when it colonized. More than 1.4 million tourists come for the Awa-Odori every year, and it is said that you want to go and participate the festival once you go. There is a famous word about the Awa-Odori “Dancing fool、watching fool: all fools、so let’s all dance!”. True to this words, it is pleased by watching and by participating. It came to be performed now in everywhere of the whole country, but all of them was the origin of Tokushima. 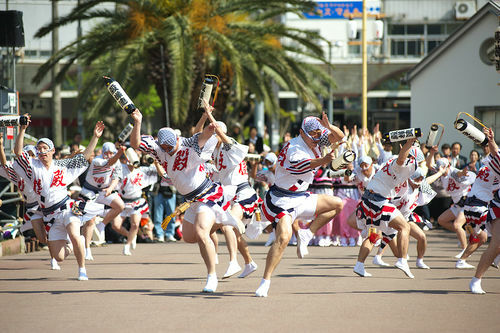 Many Awa-Odori Festival are held in Tokushima, but “Tokushima-shi Awa-Odori” is the largest of them. 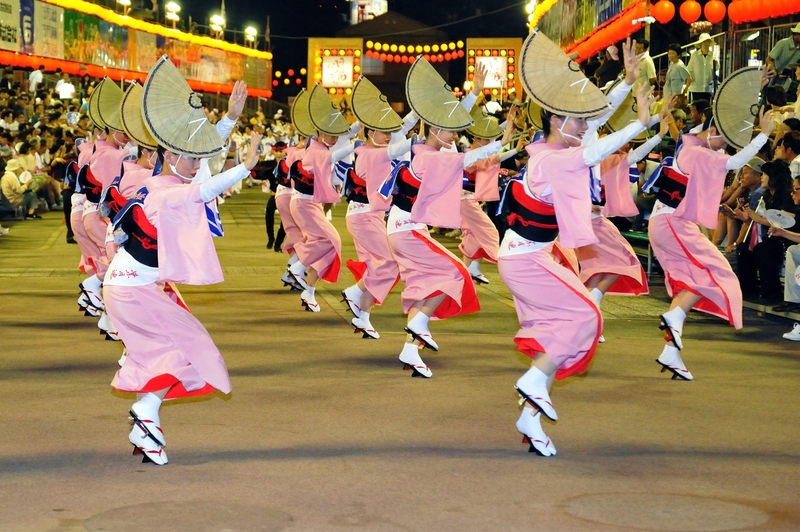 “Tokushima-shi Awa-Odori” is held from August 12th to 15th. You can see it in every performing area around Tokushima Station, but there is some pay areas. It has two kinds of style, “a man dance” and “a woman dance”. It is same Awa-Odori, but you are surprised to see its difference. There is places called “The Odori Hiroba” (“The dance square”) for an adventitious performer, and you are taught Awa-Odori if you go there. Price/Charge: There are several paid areas.